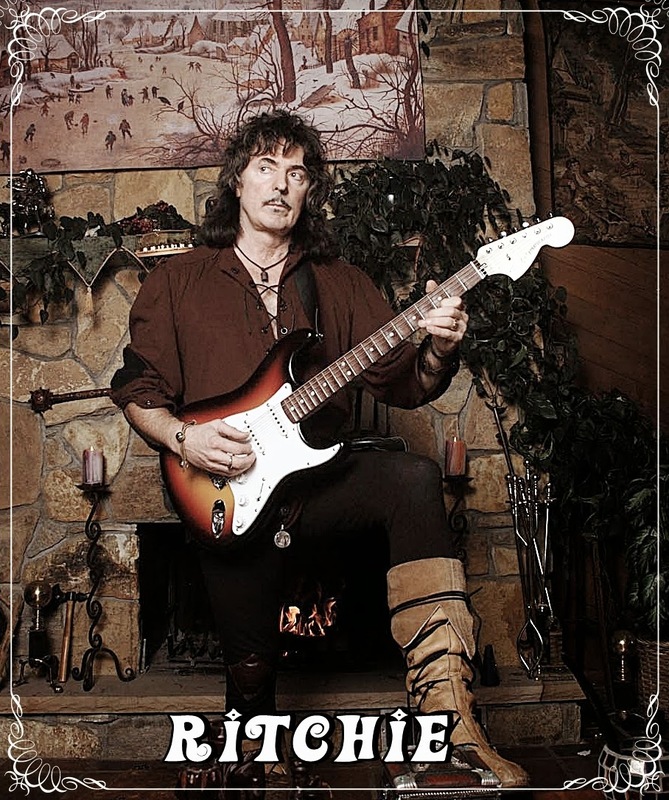 Then he vanished off my radar for many a year and in the meantime while he was away Ritchie shifted his musical focus away from hard rock in the late 1990s and started concentrating on his love of Renaissance-era music. 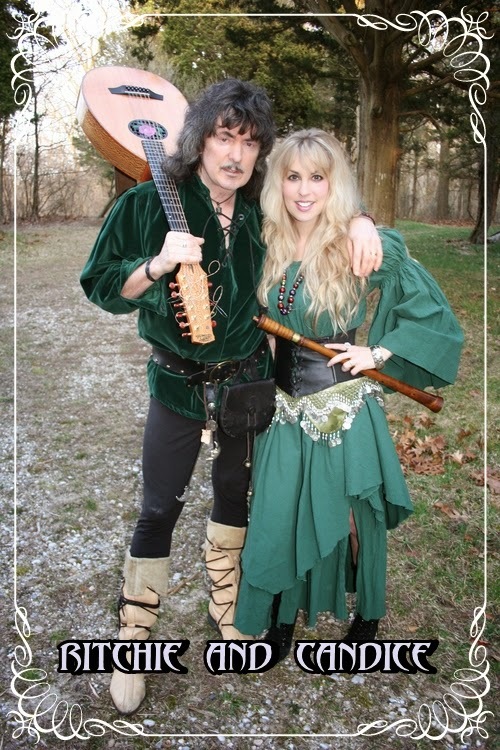 He formed Blackmore's Night with his fiancee, vocalist/lyricist Candice Night, and recruited other musicians from around the world to combine elements of world music, Renaissance, new age, folk, and rock & roll. Blackmore didn't exactly retire his Fender Stratocaster, but he plays acoustic guitar almost exclusively in Blackmore's Night. His acoustic guitar melodies and Night's clear, wonderful voice blend with a host of instruments such as mandolins, keyboards, pennywhistles, violins, tambourines, military drums, and hurdy-gurdies. Blackmore once described the band's sound as "Mike Oldfield meets Enya." Blackmore and Night met in about 1989 when Deep Purple played soccer against employees of a Long Island radio station where she worked. Night, a former model, studied communications at the New York Institute of Technology and had her own radio show. Blackmore and Night discovered they shared a love of Renaissance culture and quickly became a couple. The formation of Blackmore's Night is tied to the efforts of his previous two bands. Blackmore left Deep Purple -- again -- after 1993's musically disappointing The Battle Rages On... album. Blackmore then revived Rainbow -- technically under the original Ritchie Blackmore's Rainbow moniker -- with largely unknown musicians for 1995's Stranger in Us All, during the reformed Rainbow's recording of the album Stranger in Us All in 1995, on which Night contributed some of the lyrics and backing harmony vocals, the duo were already gearing up their debut album. Night's personality and singing ability made her the natural choice as frontwoman. In 1997 the project started as being a pun of their own names, which would consist of themselves plus session musicians. Blackmore didn't really want to call it a Rainbow project, but record company executives insisted the name recognition would make it easier to market the album. 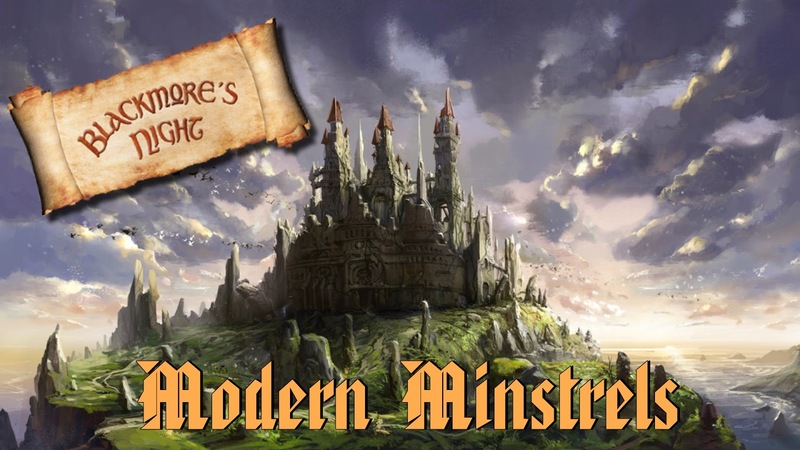 After Stranger in Us All, Blackmore decided to actually record Renaissance-inspired music. He'd loved the style for years, but he never really played it himself. Once he began playing the music at home, Night would casually start singing along. This innocent, informal practice germinated in Blackmore's Night. The debut album, Shadow of the Moon, was released domestically in 1998. Jethro Tull's Ian Anderson contributes flute on "Play Minstrel Play." Under a Violet Moon followed in 1999, and since a full tour was planned, Blackmore consciously wrote more upbeat, stage-friendly music. The duo continued to release albums throughout the noughties, including 2003's Ghost of a Rose, 2006's The Village Lanterne, and 2008's Secret Voyage. In 2010, Blackmore and Night released their eighth studio album Autumn Sky. Dedicated to their newly born daughter, the album went on to reach the number 15 spot on the German album charts. Dancer and the Moon, their ninth release, appeared in 2013. Their debut album Shadow of the Moon was a musical success and featured Ian Anderson of Jethro Tull on flute for the song "Play Minstrel Play". In subsequent albums, particularly gorgeous Fires at Midnight, there was an increased incorporation of rock guitar into the music, whilst maintaining a folk rock direction. Over time, Night has increasingly participated instrumentally as well as singing the vocals, and is competent in a wide variety of Renaissance instruments. The group performs at Renaissance fairs and Renaissance Festivals, as well as in stand-alone concert tours in appropriate venues including 'castle tours' of Europe, where they perform in historic surroundings for an audience dressed largely in period costume. 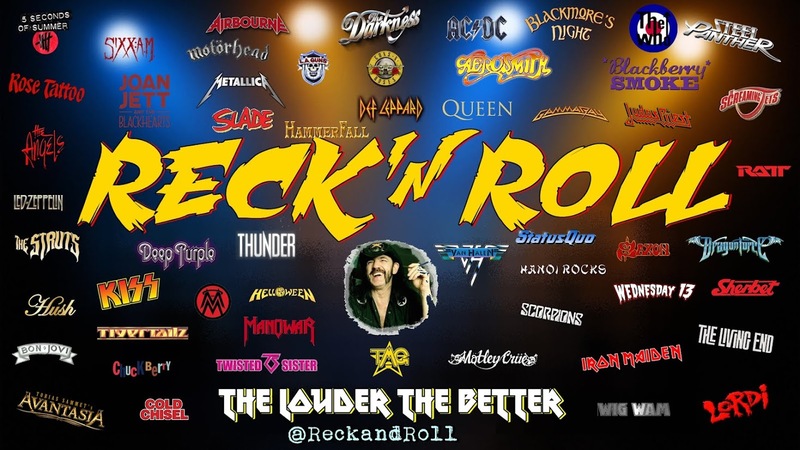 The duo has been successful enough to inspire a number of international tribute bands including: Renaissance Night, the Italian Morning Star and the Midnight. In 2006, Night performed a duet with Andi Deris on Helloween's "Light the Universe", which was released as a single in certain countries and is available on their album Keeper of the Seven Keys: The Legacy, released in the same year. On June 27, 2008, the duo released its seventh studio album called Secret Voyage, a mix of medieval-sounding tracks and some contemporary ones. 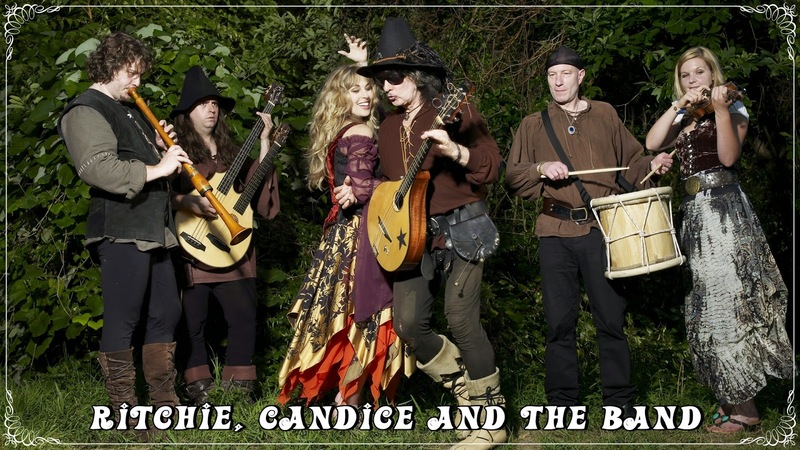 In addition to some covers of some traditional folk music (“Locked Within the Crystal Ball" is from the fourteenth century) and some originals, Blackmore’s Night also performed a cover of a Rainbow song (“Rainbow Eyes”) and an Elvis Presley cover ("Can't Help Falling in Love"). On October 5, 2008, Night and Blackmore were married after 19 years together. This is the fourth marriage for Blackmore.....Autumn Esmerelda Blackmore was born on May 27, 2010. A new album titled Autumn Sky was released soon afterwards. Their son Rory Dartanyan was born on February 7, 2012. I really like these guys (anything to hear Blackmore play, even though I agree he's one of the biggest jerks on the face of the planet), but I'd be horribly embarrassed to admit it in person to anyone.